Seagulls are in the middle of their nesting season (May – July). They are not only attracted to good nesting sites but to areas with a good food supply. 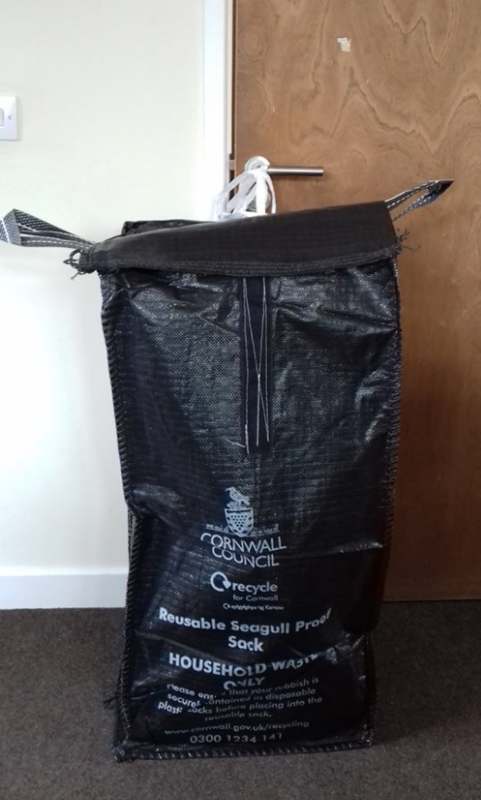 Seagull proof sacks (as pictured below) for domestic waste are available from the Town Council office for £3.50 each. Avoid eating in the street. Further deterrent advice to households for next season can be found here.